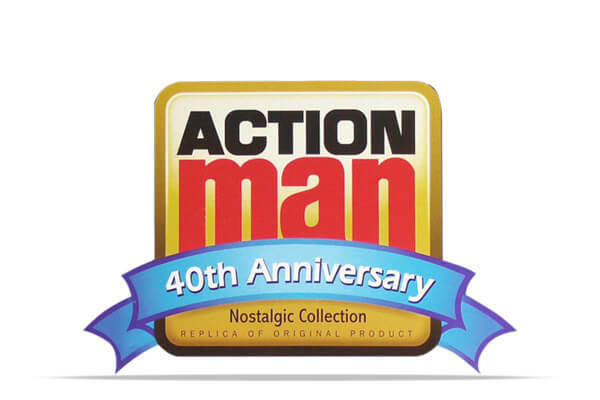 This is the list of the '40th Anniversary Nostalgic Collection' issued from 2006, of sets replicated from the original vintage Palitoy products of 1966-84. In 2006 Hasbro granted the licence to Modellers Loft in the UK to reproduce the Palitoy back catalogue of uniforms, for limited release to collectors. Most 40th Anniversary sets included a vintage style uniform card, and a boxed figure (typically the correct period) in a special presentation tray clearly labeled '40th Anniversary Nostalgic Collection'. Once the outer presentation box was removed however, it proves very difficult to spot that the re-issues were not in fact vintage. Indeed, some of the earliest 40th figures and packaging did not originally have any text alluding to the fact that it was in fact a copy. This had to be rectified and they subsequently include the line stating it was ©Hasbro 2006. The range is thought to have finalised by 2010. Thanks go to Lui (UAMHQ Forum) for compiling this list.